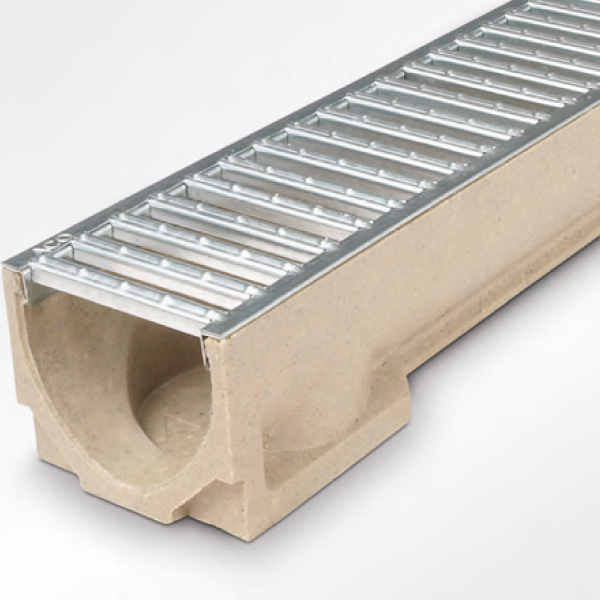 ACO RainDrain 1m Channel with galvanised steel grating A 15. By selecting the cast iron grating option, the system can be used in Load Class B 125 applications making it suitable for light vehicle traffic. ACO RainDrain has a full set of accessories available to provide a wide variety of quick and professional installations.